Just called my pheasant guy, he has the first batch for me on May 8 th. And 50 eggs for me to put in my incubator. Brooder is all ready. I will post pics when I get them. when i was a kid we used to raise some pheasants, i kinda miss them. 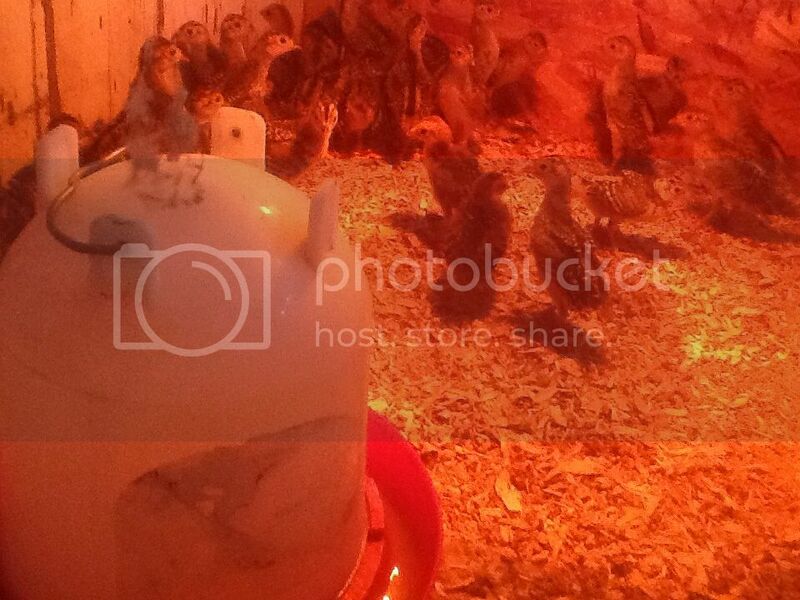 we had an incubator in the living room and sometimes kept the birds inside a little longe then probaly should have. i remember coming home a few times and somehow they would get out the 55 gal drum we used to keep them chicks in.....birds were all over the house. found one that apparently was thirsty and went into the toilet for a drink, poor thing never got back out. maybe someday ill be able to raise some more. Forgot to post this when I got them. They are almost two wks old now. We use to hunt pheasents when I was a kid.I sure miss those days.That land is now filled with homes.We see a few every now and then here.But they are the stocked ones and they dont seem to last long.That is a shame. We have a lot of guys that release them here. Not sure how many make it thru the winter though. i think there are to many predators for these released birds to have much of a chance at survival around here. I agree and the ones I have seen are more like pets almost.Not really fit for the wild.